Definition at line 785 of file PatternMatch.h. Definition at line 789 of file PatternMatch.h. Definition at line 792 of file PatternMatch.h. Definition at line 786 of file PatternMatch.h. 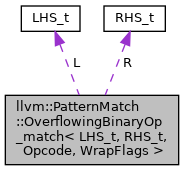 Definition at line 787 of file PatternMatch.h.